I was in my doctor's waiting room the other day and staring me in the face was the obligatory copy of People magazine (is a People subscription an official requirement for doctors to get their board certifications? ), this one being a recent issue with Demi Moore on the cover and promising to give us the "real story" of her recent emergency call, breakdown, and trip to a recovery facility. Surprisingly, the story was indeed filled with quotes from people supposedly from her own camp and inner circle. And some of what they said was both all-too-common (for all of us, not just the rich and famous) and sad but also instructive. Demi was apparently very concerned--perhaps obsessed--with maintaining her youth and beauty. 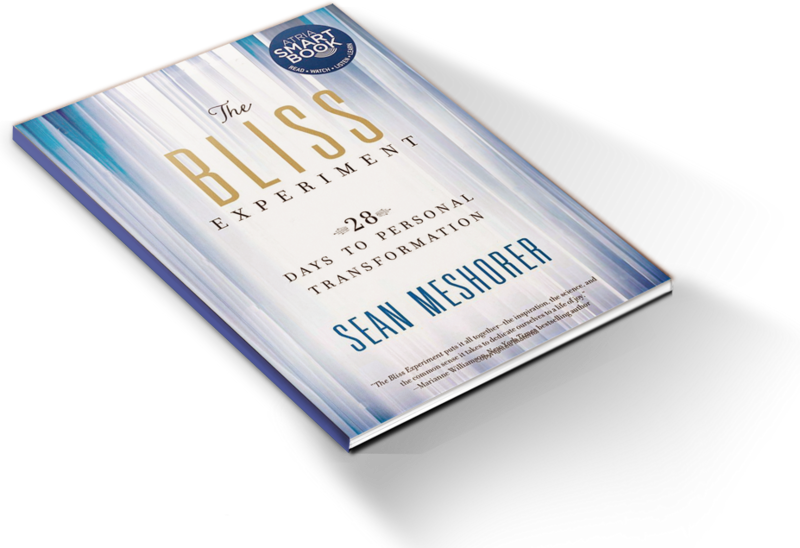 The problem with this, as we look at in depth in The Bliss Experiment book--is that this is a game we're all guaranteed to lose. Neither youth nor beauty can be maintained forever, no matter what. Worse, even if we have them right now, excessively thinking or dwelling on them doesn't help us keep or enjoy them, it actually increases our unhappiness. One of the studies we discuss in the book is the startling finding that runway fashion models--often considered among the most beautiful women in the world--actually report far less happiness and life satisfaction than average-looking people and, furthermore, exhibited a significantly higher incidence of negative personality disorders. But that's not the worst of it for Demi. Far worse, there's a quote from a close confidant that indicates that Demi fell apart when she and Ashton split because she saw it as confirmation that she's a fundamentally unlovable person--apparently a long-standing, secret fear of hers that recent events crashed into the forefront of her consciousness. The mistake is to put so much emphasis on needing other people's thoughts, feelings, and affections towards us as a requirement for our own happiness. When we do this, we essentially place our fate outside ourselves, in other people. Their beliefs about and reactions to us become responsible for whether we feel joy or not. This is always a recipe for emotional and spiritual disaster. Moreover, it also subtly creates a dynamic where we believe that love is something that we primarily receive, rather than give. Instead, if we can focus on developing our inner resources and locating the bliss within, we find ourselves centered and joyful no matter what life's external circumstances brings our way. Paradoxically, by doing so, we actually become less self-absorbed. We stop thinking about ourselves all the time. We focus on what we can give to others, not get from them, and most of all, we learn to being selflessly present, feeling a greater sense of inner peace, balance, and harmony. We all make the same kinds of happiness mistakes that Demi has made--and if not these specifically, then others that are no better. I feel no judgement toward her, no glee that somehow she "got what she deserved." Just a tremendous amount of understanding and compassion. We've all been there in one form or another. The good news, however, is that there are real, lasting solutions available.